Virtual reality isn't the future of film but it is probably a future of film. And so it's no surprise that this year's Tribeca Film Festival will showcase 23 VR exhibits and interactive installations. The festival, which runs from 11 April, will show off its experimental programming at its Virtual Arcade at the Festival Hub in Varick Street, New York City from 18 April. It follows both an impressive line-up at Sundance and plenty of VR talks and demos at SXSW Interactive in March and is a promising sign that film festivals are now taking VR every bit as seriously as big games shows like E3. Here are a few of the VR experiences to watch out for at this year's TFF. Allumette by Penrose Studios was announced with a VR trailer at Sundance but will gets its premiere at Tribeca. Eugene Chung, who founded Penrose after leaving Oculus Story Studio, wants to be VR's first auteur and we can't wait to see this 20 minute animated story of an orphan girl who lives in a city in the clouds and can light enchanted matches to relive her past. This meditative VR experience for Oculus Rift is controlled by the player's breathing, measured by a sensor which wraps around your diaphragm. We spoke to the creator of this therapeutic tool, Owen Harris, for our piece on wearable tech and panic attacks at the end of 2015. "I have anxiety and suffer bouts of depression," he said. "Yoga, breath-work, swimming and games have all been a great help in those times. It made sense to try and bring them together. This looks intriguing - it's a VR game based on a graphic novel by Marc-Antoine Mathieu. From the teaser, the monochrome, stylised world looks to be controlled only via head tracking and we are promised a "world without words" and a graphic maze with only arrows to guide the player around it. 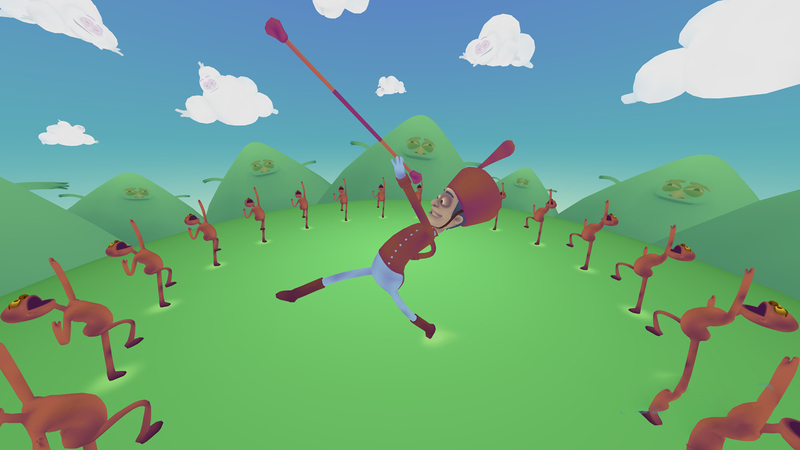 This is a VR music video "experience" for the uptempo Future Islands' track Old Friend and frankly, it looks nuts. That's because it's by Tyler Hurd who you may remember from the VR-only Kaleidoscope Film Festival with his piece BUTTS on which this seems to be based. It's a collaboration with Wevr which wants to be a bigger, better version of YouTube and is also involved with a couple of other Tribeca projects: Hard World for Small Things about a tragedy in LA and Holidays: Christmas VR starring Seth Green. The latest in the series of 360 degree videos from the UN's Gabo Arora and Vrse.works' Chris Milk, My Mother's Wing is about a mother in Gaza coping with the death of her two children in 2014. Like the previous moving documentaries, this should be available to view on the Vrse app for Google Cardboard and Samsung Gear VR. That's just a taster of what to expect in VR at the Tribeca Film Festival. Head to the website to check out the full line up which includes Killer Deal, a VR horror movie by the director of Sharknado, The Crystal Reef, a project from much quoted Jeremy Bailenson and Stanford University's Virtual Human Interaction Lab, RYOT's new piece of work The Artists of Skid Row plus Felix & Paul Studios will also be there. One VR piece or installation will also receive the annual Storyscapes prize, which focuses on work which deals with racism, violence or environmental issues, at the festival.